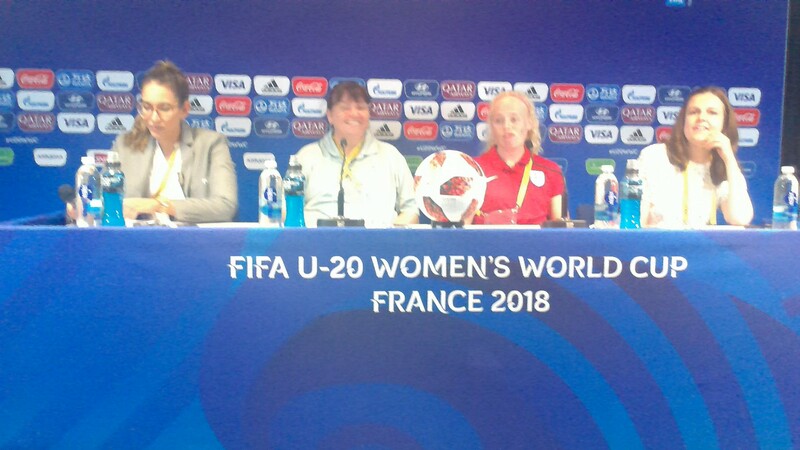 England head coach Mo Marley and captain Grace Fisk are quietly confident they’ve prepared enough to “combat” the threat current Under-17 and Under-20 world champions Korea DPR hold in both side’s opening match of the 2018 U-20 World Cup in France. The young Lionesses held Korea DPR to an eventful 3-3 draw at the U-17 World Cup two years ago, a competition Korea DPR would eventually go on to win. But Marley is wary of looking too much at the match between the two sides in Jordan two years given both squads have changed a lot in the time since, with England having just six players from that squad in their squad for this year’s tournament. Twenty-year-old Fisk, a University of South Carolina student, shares her manager’s view and says England is largely concentrating on themselves. Marley has some big decisions to make ahead of the encounter, especially in the attack with the depth in quality available to the head coach. Alessia Russo was the hero in 2016 when her last-minute equalizer rescued a point in the opening game, but she could miss out with Georgia Stanway, Chloe Kelly, Rinsola Babajide, Lauren Hemp, Niamh Charles, and Ali Johnson among those fighting for a spot. Marley also has to choose between Ellie Roebuck and Sandy MacIver as her starting goalkeeper with a good start more crucial than ever with a Brazil side led by Geyse and Kerolin up next on Wednesday. “Getting a result in any of these games will build confidence. The first game is for our players to go in and express themselves, demonstrate what they’ve done over the past few years. While Marley has played expectations down in the buildup to the tournament, the captain can’t help but get carried away a little. “I’ve thought about lifting the trophy, most nights to be honest,” she laughed. “But just being able to have that ambition and that drive to make those dreams a reality motivates everyone in a team.